The U.S. Federal Trade Commission is investigating Google's Motorola Mobility unit to determine whether it is stifling innovation in the mobile market by refusing to license certain patents to its competitors, according to published reports. 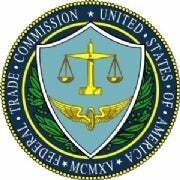 The FTC's formal probe focuses on pledges Motorola Mobility has made to license to other companies on fair terms industry-standard mobile technology it owns, Bloomberg reports. The FTC sent Google the civil investigative demand because the agency is concerned about the antitrust implications of Motorola Mobility's licensing of this technology, according to The Wall Street Journal. Google recently closed its US$12.5 billion Motorola Mobility acquisition after the U.S. Justice Department and other regulatory agencies gave the deal a green light. The Journal and Bloomberg, which attributed the information in their articles to anonymous sources, received a statement from Google saying that the company takes its "commitments to license on fair, reasonable and non-discriminatory terms very seriously and are happy to answer any questions." According to Bloomberg, the FTC is also seeking information from Microsoft, Apple, and others about Google's intentions to license some specific mobile technologies on fair and reasonable terms.